First, Call of Duty: Advanced Warfare followed Respawn up into the higher reaches of the skybox; now, it’s going to copy Titanfall’s approach to quickscoping – by making the practice impractical. Quickscoping sees players dip in and out of a sniper rifle’s zoom mode to let off rounds in the direction they’re already facing. It’s controversial, if not universally condemned, and is particularly rife in the more recent Call of Duty games. Sledgehammer have countered that fact by tying certain abilities to weapon classes. 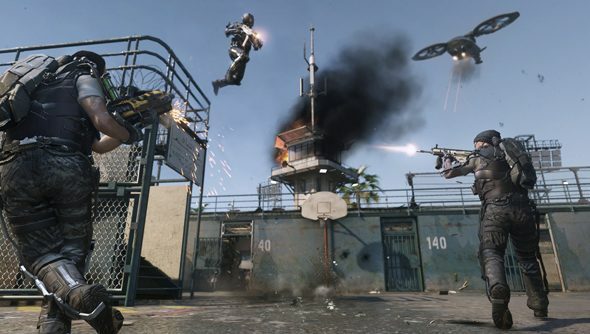 “We’ve done some things to make sure snipers are not able to take advantage of their properties,” Condrey told 3 News. “The ability to quick-draw with an assault rifle is important, but you don’t want to have the ability to quick-draw with a sniper rifle because that lends itself to being a faster, quick-scope model. Condrey noted that the exosuits in Advanced Warfare multiplayer are a sniper’s worst nightmare. Do you snipe, of an evening?